The end of the year might have come for the George Formby Society conventions and most of the branches had already enjoyed their Christmas parties and were settling down to enjoy the Christmas holiday. But one young member still doing his stuff on behalf of the Society was Preston’s Paul Kenny. 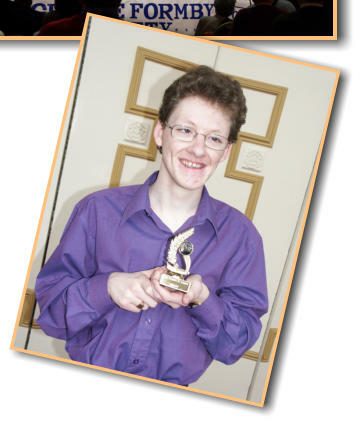 A young man who in the last year or so has come to the fore both as a quality ukulele player and also as a really enthusiastic entertainer. Paul was appearing live on Radio Lancashire and he was doing a great job in promoting the Society and the name of George Formby when he entertained comedian Jim Bowen and the entire studio staff with his good natured banter and songs. Paul was asked about the instrument, how he found George Formby and how he came to be playing the uke. He easily dealt with all queries and did himself and the Society a great service by his professionalism. No nerves for this lad as he launched himself and his uke into two of Formby’s favourites, “Our Sergeant Major” and “Little Stick Of Blackpool Rock” which were performed with all the skill and professionalism that we have come to expect from only the best players within the Society. Paul might be a Lancashire lad through and through but he and his mum and dad have found a cosy corner within the realms of the Yorkshire Ukulele Circle in Mirfield and never miss the third Tuesday each month. 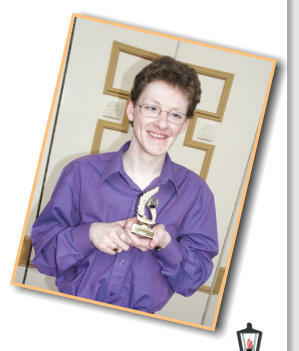 Paul is always ‘one to watch’ and has become one of the favourites within the Uke Circle gang. 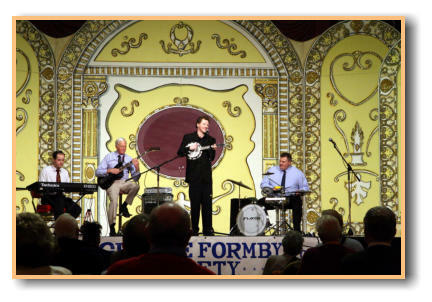 The Society is only as strong as it’s youth and in Paul Kenny we are fortunate to have a young man who, with is enthusiasm and interest in George Formby, will be one of the mainstays of the Society for many years to come.